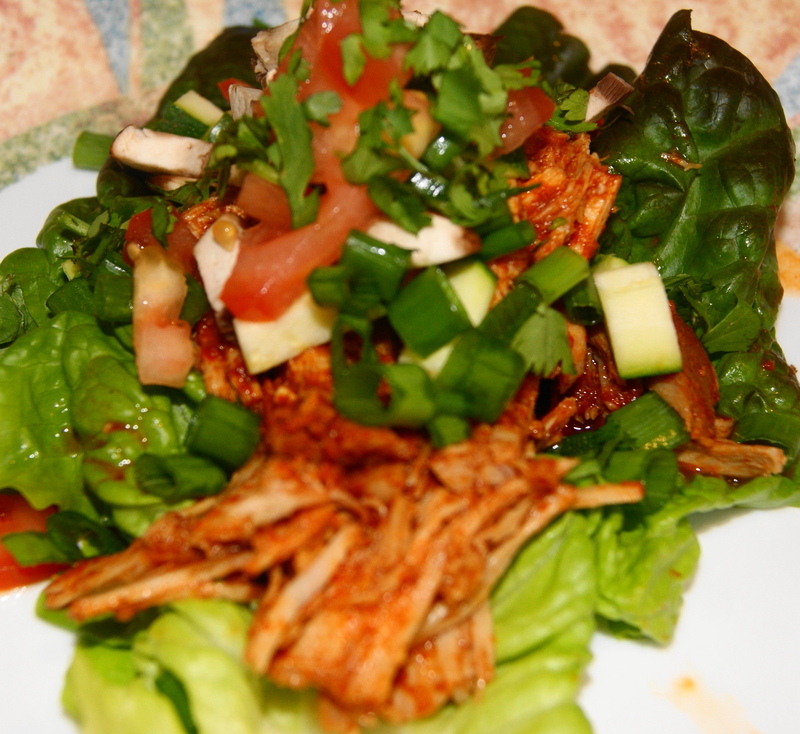 I use the crock pot to prepare these two recipes; the pork comes out flaky and moist, full of flavor. Place the pork loin in the crock pot and season with the All purpose spice rub and cover with the enchilada sauce, add a little water if needed. Cook for about 4-5 hours at high. Remove from the crock pot and flake using two forks. Transfer to a serving bowl and add some of enchilada sauce to the pork. I thought about my commitment to lighten things up so the first way is served on a bed of red leaf lettuce, topped with chopped zucchini, green onion, brown mushrooms, and tomatoes. The other way is similar to a sloppy Joe. Take a whole wheat burger bun and place each side on a broiler rack and place a slice of American cheese on top. Place in the broiler until the cheese is just melting. 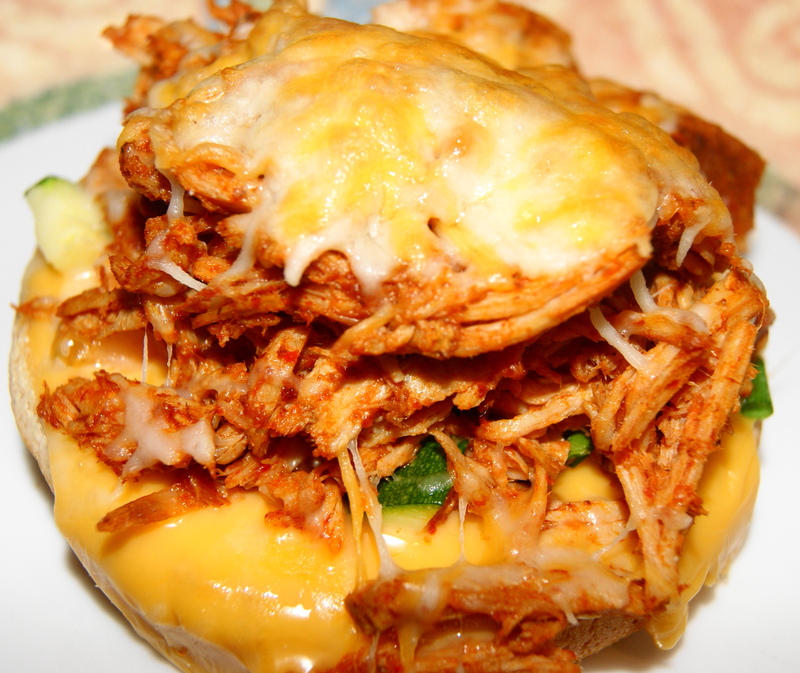 Remove from the oven and top with the vegetables, pulled pork and some shredded cheese. Place back in the broiler until the cheese melts. Both ways make my mouth water.